Beirut (AFP) - An Israeli strike on Syria killed an Iranian general, Tehran confirmed Monday, as thousands of supporters of Lebanon's Hezbollah gathered to bury one of six fighters killed in the same raid. 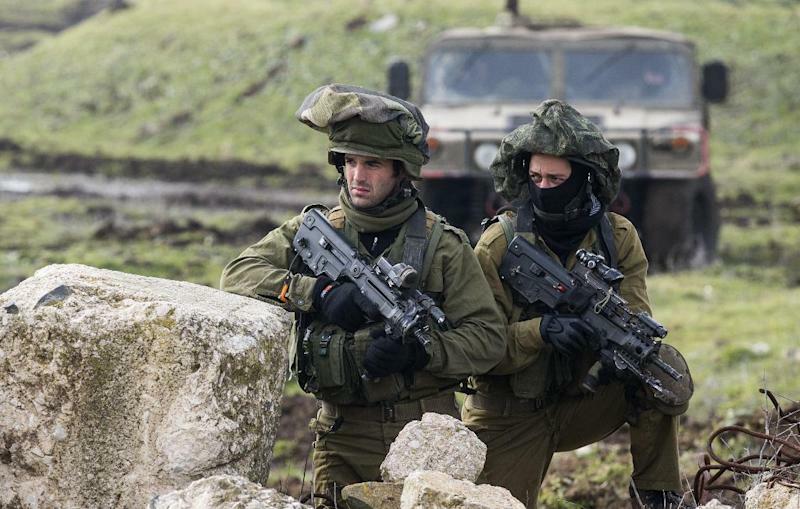 The attack on Sunday near Quneitra on the Syrian-controlled side of the Golan Heights enraged Hezbollah's supporters, but analysts said the group would avoid a major escalation with Israel. Iran's elite Revolutionary Guards confirmed the death of one of their generals in a statement on their website. "General Mohammad Ali Allahdadi and a number of fighters and Islamic Resistance (Hezbollah) forces were attacked by the Zionist regime's helicopters," it said. 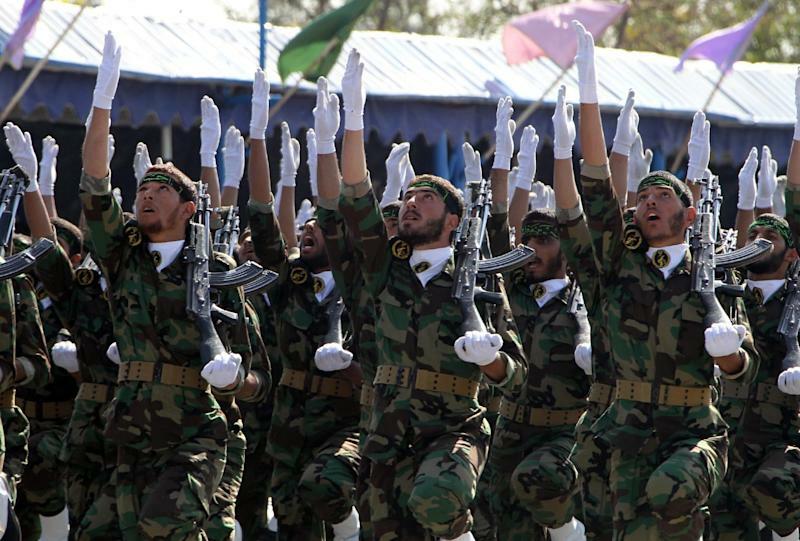 A source close to Hezbollah said six Iranians had been killed in the attack. Hezbollah told AFP that it was not the source of that toll. Among Hezbollah's dead was Jihad Mughniyeh, the son of an assassinated commander from the group, and Mohammed Issa, a commander responsible for Hezbollah's operations in Syria and Iraq. Once solely focused on fighting Israel, Hezbollah is now deeply involved in the war in neighbouring Syria, where it backs President Bashar al-Assad. With its forces spread thin, and little appetite in fragile Lebanon for a new conflict with Israel, analysts said Hezbollah would seek to respond to the raid without provoking a full-on war. On Monday afternoon, thousands of mourners gathered in Hezbollah's southern Beirut stronghold for Mughniyeh's funeral. "God willing, the resistance will retaliate but the leadership of the resistance will be the one to decide the nature and timing," said Hassana Sadaqa, as she prepared to pay her respects. Mourners chanted "Our party is Hezbollah, our leader is Nasrallah" as the coffin was carried through the streets and shots were fired into the air. Mughniyeh was buried in the same cemetery as his father Imad, who was killed in a 2008 car bombing that Hezbollah blamed on Israel. As the crowds marched through the streets, residents threw confetti down from their balconies, celebrating what they see as the fighters' "martyrdom". Hezbollah's Al-Manar television said the six were killed as they carried out reconnaissance. But an Israeli security source said an Israeli helicopter carried our a strike on "terrorists" who were preparing an attack on the Jewish state. 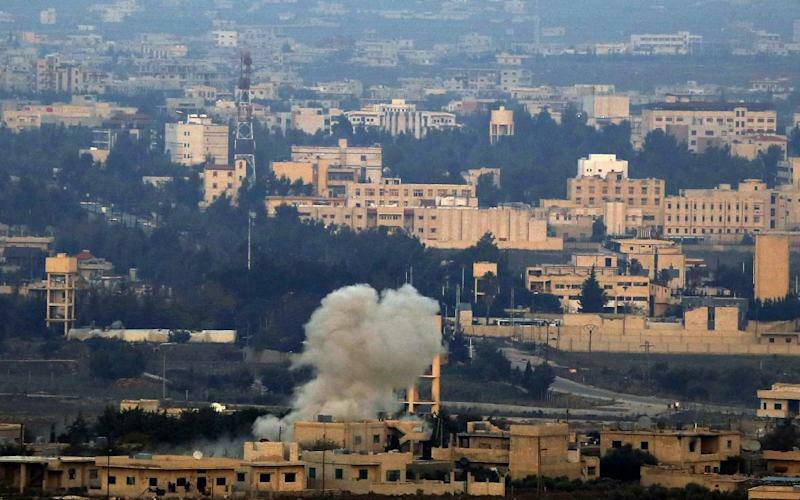 The strike came days after Hezbollah chief Hassan Nasrallah threatened to retaliate against Israel for its repeated strikes on targets in Syria and boasted the movement was stronger than ever. He touted its sophisticated arsenal, including Fateh-110 missiles, which have a range of 200 kilometres (125 miles) or more and are capable of hitting much of Israel. Analysts said the precision Israeli strike, days after Nasrallah's bellicose remarks, stood to embarrass Hezbollah. "What happened is that the Israelis called Hezbollah's bluff last night," said Hilal Khashan, a professor of political science at the American University in Beirut. But he said Hezbollah's response was likely to be limited "because if it retaliates, it will be another war. Hezbollah is in Syria and it is not ready for another war against Israel." Walid Charara, an analyst close to Hezbollah, said he had "no doubt" that the group would respond, either from Lebanese or Syrian territory. Khashan said Hezbollah could resort to small-scale attacks, like a roadside bomb on the ceasefire line with Israel it claimed last year, but would avoid a more serious response. Speaking to reporters at the funeral, Mahmud Qmati, a member of Hezbollah's political bureau, said all-out war was unlikely, but that "the war of (limited) strikes, assassinations and intermittent confrontation continues". But another Hezbollah official, MP Bilal Farhat, refused to say what might happen next. "Let's wait and see," he said. Lebanese media weighed the prospect of conflict, with the Al-Safir newspaper saying Hezbollah needed something "more than a reply and less than a war". In Israel, analysts made the same calculation. "Hezbollah doesn't want a full-fledged war," said Yoram Schweitzer, a former Israeli military counterterrorism chief. "It has a number of possibilities to respond in different arenas. We assume that it currently does not want full contact," he told AFP. In 2006, Israel fought a bloody war against Hezbollah that killed more than 1,200 people in Lebanon, mostly civilians, and some 160 Israelis, mostly soldiers.